SEO plays a key role in routing organic traffic to your website and Organic Traffic is the building block for business sustainance in the online market place. ￼ Search engines will bring you targeted visitors who are already interested in your product and/or services and are looking forwrd to buy it. 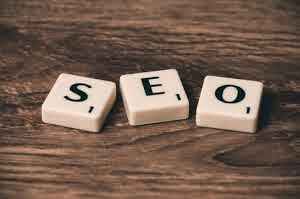 ￼ Organic traffic doesn’t stop when you stop paying for SEO: Once in place, SEO effectively work forever for your existing contents and becomes stronger every month. ￼ Search Engine Optimization (SEO) services provide optimal (below average) cost per lead this is again because of targetted audience and probable customers reaching your site. Cost per lead is an important parameter to measure the overall cost incurred to bring in a sale.